Illinois' Tobacco 21 Plan: Puffed Up or Plausible? For decades, public health advocates have pushed for limits on smoking. They've included warning labels on products to limits on where someone can light up, all of which have helped bring down smoking rates. 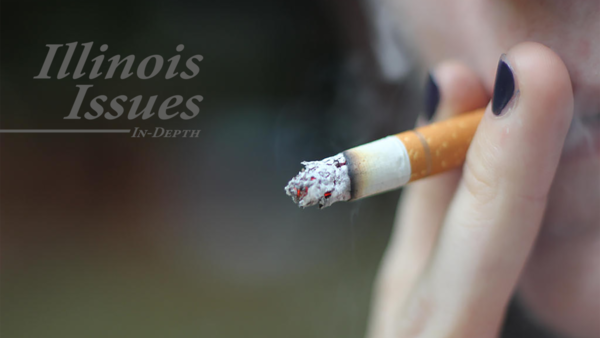 But in Illinois, a push to raise the smoking age has repeatedly failed to become law. We took a look at this year's push, and what chance it has at becoming law. 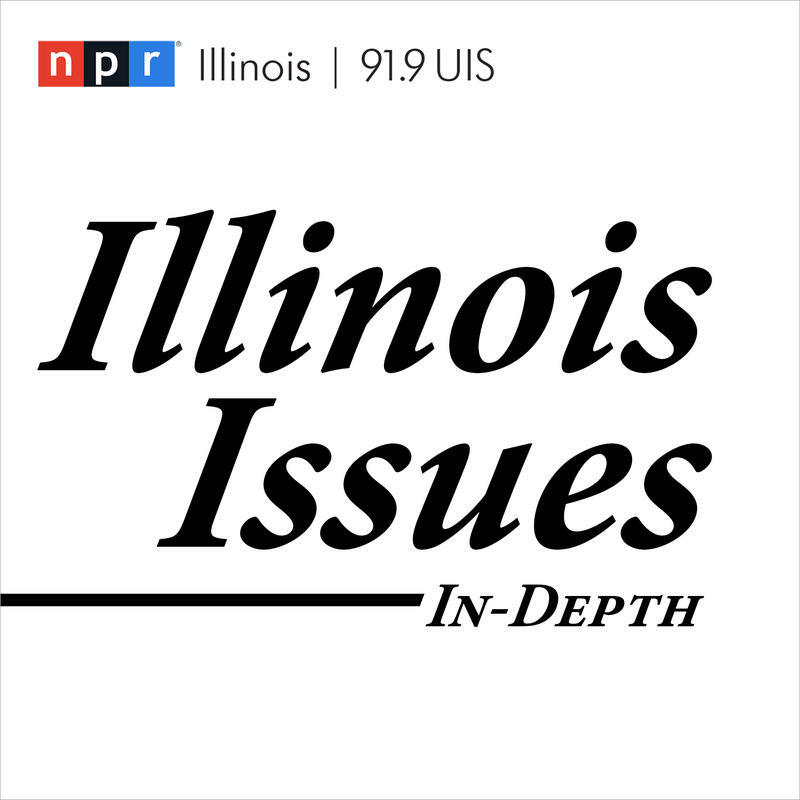 Listen to this week's Illinois Issues. Smoking and chewing tobacco used to be the norm. You might remember being asked a routine question at restaurants: 'smoking or non?' But over time, health organizations, lawmakers, and even the military have been increasingly outspoken about the hazards of tobacco. Nowadays, anti-smoking billboards and commercials abound. Illinois lawmakers put their collective foot down in 2007 when they passed a landmark ban on public smoking. It’s been more than a decade since then, and public perception of smoking has gone from bad to worse, especially among young people. An average of 95 percent of high school aged kids in Illinois say they’d never touched cigarettes, according to the most recent Illinois Youth Survey. That’s about 10 percent fewer kids from 2010's survey. But while high schoolers are ashing traditional tobacco, e-cigarettes and vaping products are on the rise. That same youth survey says vaping rates in Illinois are up dramatically, nearly 50 percent among high schoolers, from even a few years ago. You might not even realize someone is vaping. One of the most popular products is Juul, which can be easily concealed, since it’s designed to look like a computer USB drive. Vaping involves nicotine, derived from tobacco, and can be highly addictive like traditional cigarettes. All of this has led some state lawmakers and health lobbyists to double down. State Rep. Camille Lilly, a Democrat from Chicago, is one of the statehouse’s leading anti-smoking voices. “We should do everything in our power to stop this devastating habit,” she told her House colleagues during a debate last year. Lilly has been, and is again this year, a sponsor of a plan supporters say would have taken tobacco -- including vaping products -- out of the hands of high schoolers once and for all: by raising the purchasing age to 21. A similar plan has already made it out of committee and to the floor of the state Senate. She and others have partnered with the American Lung Association to try and get it done. The association’s Kathy Drea says supporters have tried to up the smoking age four years in a row, but that effort has been snuffed out every time. That’s because Tobacco 21 hasn’t had enough votes to pass. Last year the idea made it to former Governor Bruce Rauner's desk, which he vetoed in November. Supporters failed to get enough backing to override it. But that hasn’t stopped health advocates, like Illinois Public Health Association director Tom Hughes, from keeping a steady drumbeat against youth smoking. On the other hand, tobacco businesses say it’s not fair to restrict the freedoms and responsibilities an 18 year old has. A common argument: if they’re allowed to vote and serve in the military, why stop them from deciding whether to smoke or not? But some business owners, like Jason Smith of 618 Vape, agree with what Tobacco 21 is trying to do for kids. He’s run vaping businesses in Carbondale and Anna for more than five years, and says he routinely turns teens away for trying to buy popular vape products for their underage friends. Smith believes raising the purchase age alone won’t do much of anything. He says more comprehensive ways of tackling the problem, like restricting where vape products can be sold, would be better still. Moreover, Illinois gets billions of dollars from the tobacco industry from a multi-state legal settlement and in sales taxes, but only uses a tiny fraction of it for anti-smoking programs. Smith says lawmakers should look to those dollars before they think about raising the smoking age. Instead, he says, shops like his are being scorned as “part of the problem,” when they could be part of the solution. Despite the objections, Tobacco 21 already has a lot of support. It has strong support among the majority Democratic party and some Republicans, like state Rep. Tim Butler of Springfield, broke ranks to vote yes. Republican votes like Butler’s have left Tobacco 21 supporters hopeful they’ll be able to pass it again. The recent hand off of the Governor’s mansion to J.B. Pritzker could also give the measure the key support it’s needed. But one look at his lieutenant governor’s voting record can give us a pretty good idea. Juliana Stratton, who was a Democratic state representative before being tapped for her new role, voted “yes” when Tobacco 21 came to the floor last May. Meanwhile, 36 Illinois municipalities and counting have moved ahead on their own by bumping their local smoking age to 21. Before the state of Illinois passed the indoor smoking ban more than a decade ago, towns were passing similar ordinances. A spokesman for e-cigarette manufacturer Juul says even they "strongly support raising the minimum purchase age for all tobacco products." All in all, when it comes to this year’s Tobacco 21 proposal, supporters like Kathy Drea are more hopeful than ever. “There is no single magic bullet to reduce tobacco use, but there is still so much that we can do," she said. "I hope that Tobacco 21 is our next tool in our toolbox."